The WM-170 is a life-sized TPE love doll by WM Dolls. The WM-170 has a body height of about 170 cm and weights ca. 38 kg. The WM-168/A is the second tallest TPE love doll by WM Dolls. 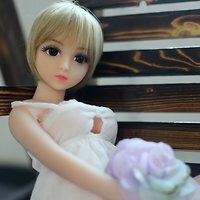 The slim female doll has a body height of about 168 cm and weights ca. 28 kg (according to the manufacturer's specification). Body measurements: 68 cm (breasts) x 53 cm (waist) x 71 cm (hips). The WM-166 is one of the tallest TPE love dolls by WM Dolls. The slim female doll has a body height of about 166 cm and weights ca. 33 kg (manufacturer specs). The WM-160 is a life-sized TPE love doll with a body height of about 160 cm (63 inches) by WM Dolls. Body measurements: 83 cm/32.7″ (breasts) x 40 cm/15.7″ (waist) x 75 cm/28″ (hips). The WM-140 aka Angel Doll is a female TPE love doll by WM Dolls. This doll's body measurements are located in between WM-145 and WM-135. Because of her rather small size of about 140 cm she weights only 23 kg (according to the manufacturer's specifications). Body measurements: 72,5 (breasts) × 51 cm (waist) × 74 cm (hips). Head No. 36 aka Angel is a a female head by WM Dolls. The head is made of TPE. Lovely (Jinshan no. 102) is a female head by WM Doll which fits to the WM-100 doll. Head No. 57 aka Kylie (Jinshan no. 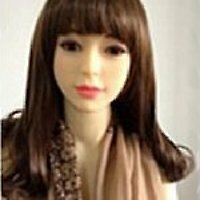 57) is a female head manufactured at Jinshan factory. The head is made of TPE. Head No. 59 aka Angel II (Jinshan no. 59) is a female head by WM Dolls. The head is made of TPE and features closed eyes. Head No. 64 aka Nava (Jinshan no. 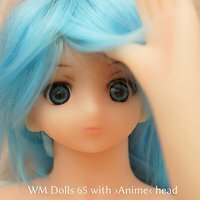 64) is a female head by WM Dolls. The head is made of TPE. 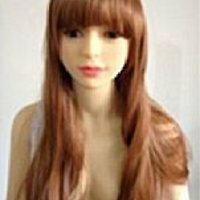 Wig 1 for 65 cm fits to TPE love doll WM Dolls 65. Wig 2 for 65 cm fits to TPE love doll WM Dolls 65. 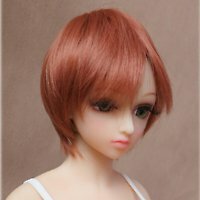 Wig 3 for 65 cm fits to TPE love doll WM Dolls 65. 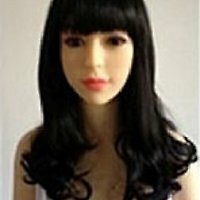 Wig 4 for 65 cm fits to TPE love doll WM Dolls 65. 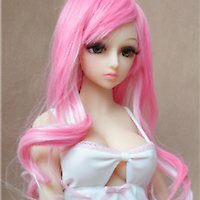 Wig 5 for 65 cm fits to TPE love doll WM Dolls 65. 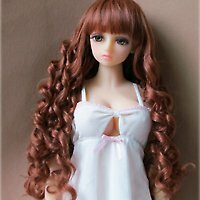 Wig 6 for 65 cm fits to TPE love doll WM Dolls 65. Wig no. 1 fits to TPE love dolls by WM Dolls. Wig no. 2 fits to TPE love dolls by WM Dolls. Wig no. 3 fits to TPE love dolls by WM Dolls. Wig no. 4 fits to TPE love dolls by WM Dolls.